The LNA Essential Cape Tee is a fun alternative to a classic tee. Very boxy shape with a fitted 3/4 sleeve. Flattering high low cut, and covers the waist. Loose crew neck. 100% Cotton. The Mason Crew is your perfect cotton summer tee, slightly relaxed and boxy with a small side slit. Wear it loose or tuck it in. If you like a tighter fit, size down. Machine wash cold. 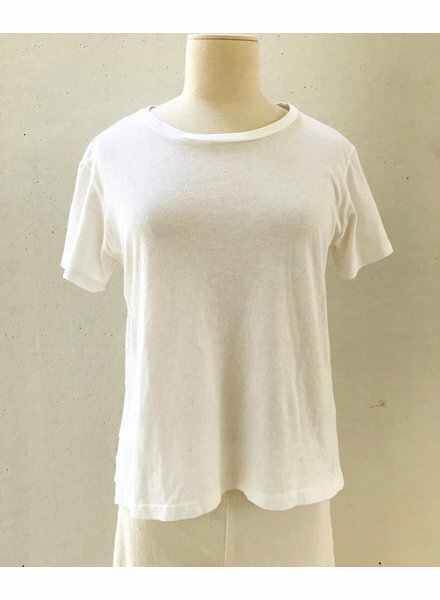 White boxy vee neck top in 100% cotton gauze with a finished ragged hem and easy fit. Slightly cropped length covers the waistband. Made in California. Everyday v-neck short sleeve tee in a slightly relaxed fit and garment oil washed. Uniquely hand-dyed so no two are alike, with random distressing. This one is a deep rosy shade. A modern classic. The LNA Essential Cape Tee is a fun alternative to a classic tee. 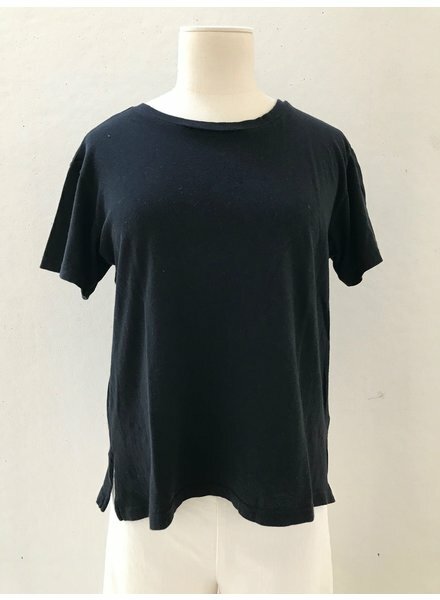 Very boxy shape with a 3/4 sleeve. Flattering high low cut, and covers the waist. Loose crew neck. 100% Cotton. Freedom gauze split neck dress with side slit detail, a relaxed fit and 3/4 sleeve in white. 100% Cotton. We love the shape and drape of this cute split neck long sleeve top with side slit detail in a relaxed fit. 100% Cotton gauze. White. Made in California.